, Optus is to enter the fray as it looks to secure the broadcast partnership for Rugby Union's biggest international tournament. It is believed Optus will face off against both Ten and Fox Sports, who each currently have rights to respective Wallabies international matches. The move to once again attempt to stream a major sporting event by the telco follows a disastrous 2018 FIFA World Cup, which saw Optus secure the rights to the world's biggest sporting event for $8 million, only to be hit by numerous server blackouts. For the first time in Australia, Optus' deal put the World Cup games behind a paywall, however the telco was eventually forced to relinquish the rights to SBS as it was unable to provide a stable and consistent feed. The issue eventually led to full refunds for all Optus Sport subscribers. 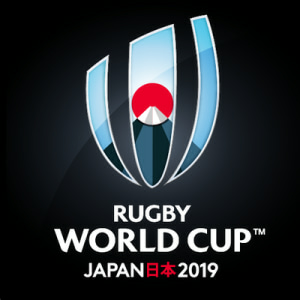 While a risky move for Optus given the events of last year, the Rugby World Cup is a significantly smaller event when compared with the like of the FIFA World Cup. Viewership of Rugby Union has also been in decline over recent years, which may see less pressure put on Optus' servers should it be successful in its bid. Channel Nine is the only major network to confirm that it will not be bidding for the World Cup, which takes place in Japan later this year. Late last year, Optus Sport revealed further investment into football streaming, securing the rights to multiple European tournaments, including the popular Euro tournament. Optus also extended the rights to the English Premier League for another three seasons in May 2018, with the new deal beiginning in August this year and includes exclusive live coverage on for every Premier League match, and full on-demand, replay and short form rights for all 380 matches between 2019 to 2022. Australian telco Optus is expected to make another play for sport streaming rights, as it is reportedly set to enter into the current bidding war for the broadcast rights of the Rugby World Cup. According to The Daily Telegraph, Optus is to enter the fray as it looks to secure the broadcast partnership for Rugby Union's biggest international tournament.